Rocky Yu is the Director of QianHai Gangjunda Shenzhen Business Service Co Ltd. “Since 2003, I have been providing loan and finance advisory services to China enterprises…” said Mr. Yu. 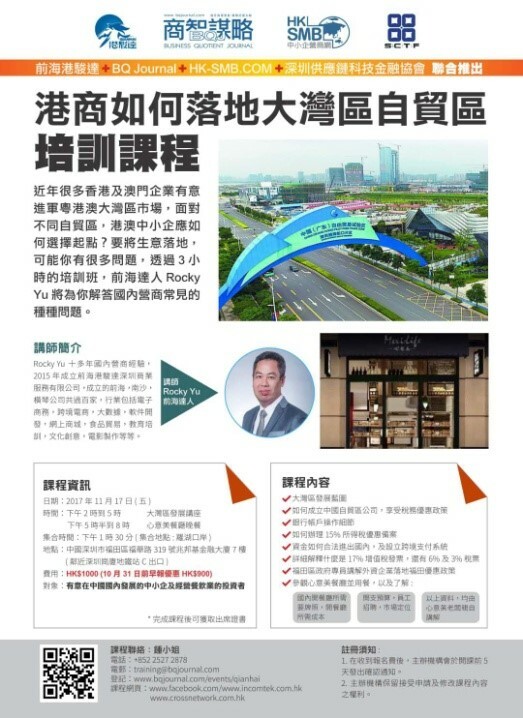 In the past 10 years, Rocky has visited more than 1000 factories in The Greater Bay Area and successfully assisted more than 200 manufacturing enterprises to obtain loan and finance facility from the Bank. Rocky hence earned a deep understanding of the China business model. 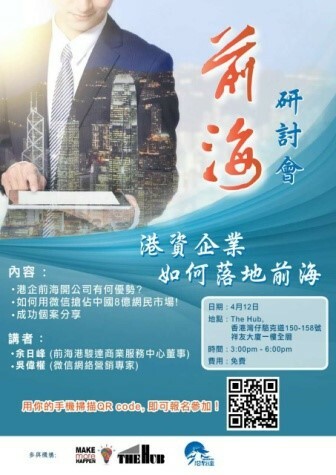 Mr. Yu founded Qianhai Gangjunda Shenzhen Business Services Co Ltd. in Year 2014. 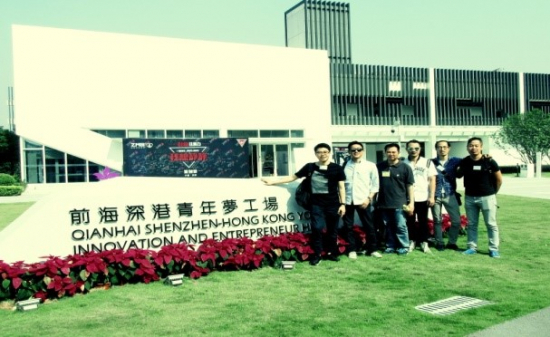 He set up this company and positioned it in the market as a HK-China cross border platform. The mission of this platform is to assist the HK SME to enter the China domestic market. “In order to supply high-end business service, we provide a whole level 16,000 square feet of Grade A commercial building in Shenzhen CBD, the Zaobangji Finance Building. We are a one-stop cross border commercial centre for incoming HK SME. 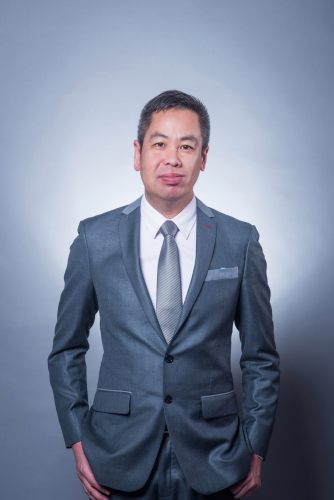 Now, over 60 % of our tenants are foreign companies and most of them are MNC…” Said Mr. Yu. Since the founding of the above centre, Qianhai Gangjunda Shenzhen Business Services Co Ltd. has assisted more than 200 foreign companies to set up their WOFE in China. “In the past two years, more than five expeditions to Qianhai were organized and over 20 seminars related to the Free Trade Zone in The Greater Bay Area were held in HK regarding ‘How the Hong Kong SME could land in Qianhai, Hengqin and Nansha’…” said Mr. Yu. Mr. Yu was invited to the forum on December 8, 2017 at the SME Expo. 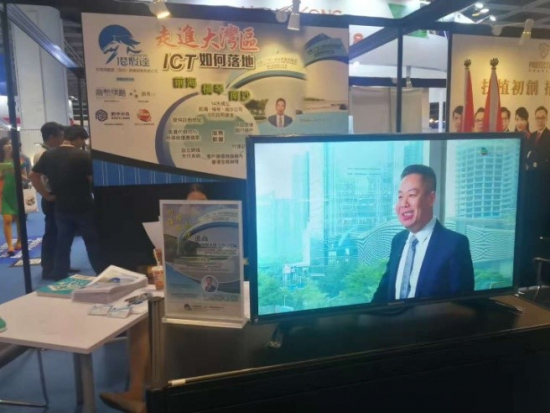 In 2018, the ICT expo once again invited Mr. Yu to hold a talk about The Greater Bay Area. 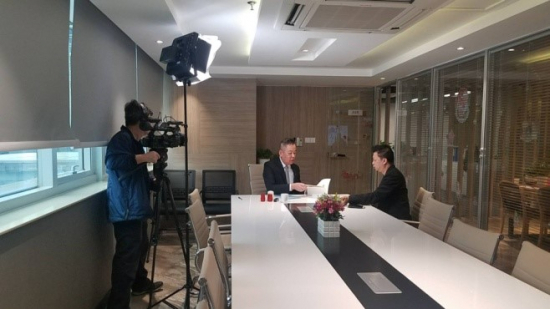 “At the end of 2017, the TVB invited us to take part in the episode of Shenzhen in the "Enter The Greater Bay Area" documentary series to share our knowledge about the business opportunities in the area. The documentary was broadcasted on April 8, 2018…” said Mr. Yu. Mr. Yu’s next move is to publish the book "ENTER THE GREATER BAY AREA - How Hong Kong SME land in Qianhai, Hengqin, Nansha" and it will be ready to release by mid-June 2018. The press is released by Teal Belt Consultants Ltd., your business partner to elevate profits.